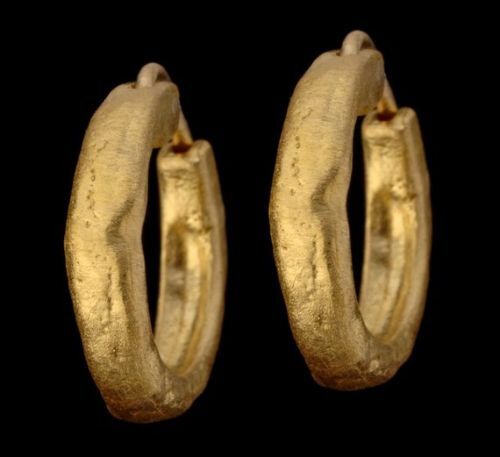 Men’s earrings have been a part of many of civilization’s history. 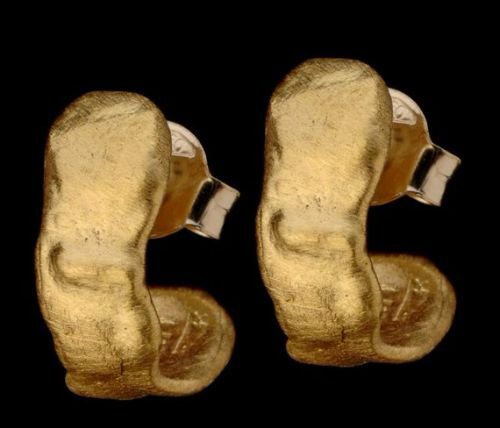 However, men’s earrings were not as popular as what they have become now. 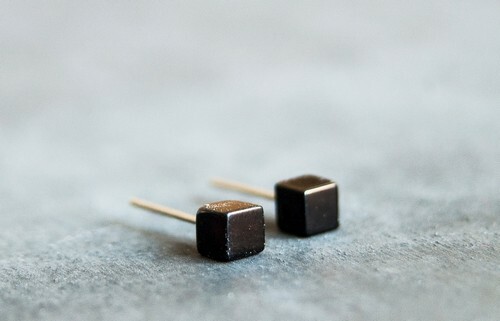 Thanks to the changing taste in men’s jewelry, earrings are now more acceptable for men. 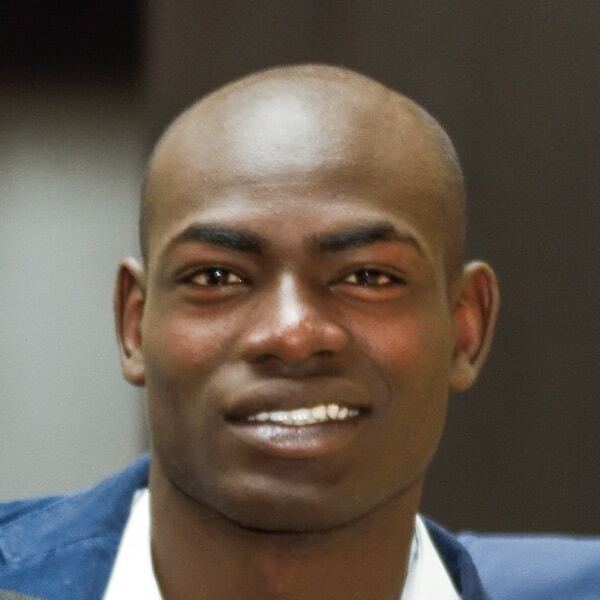 Different cultures around the world wear earrings to signify a man’s view and personality. 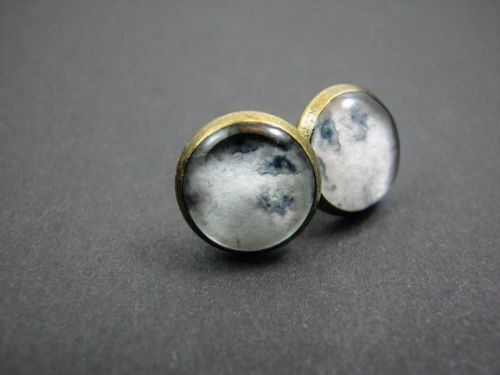 Since men’s earrings were not as popular before, there were very little options when it comes to its design and style. 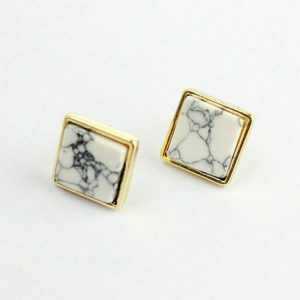 Today, with its continuous popularity, more and more variations and styles for men’s earrings are coming out from the minds of creative jewelry makers. It can be hard for a man to shop for jewelry so here is a simple guide on how to get the best men’s earrings for you. One of the most popular earring types for men is the stud earrings. 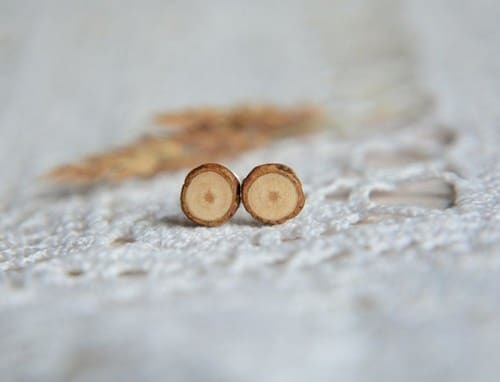 When stud earrings are worn, they appear to be free floating on the ear. 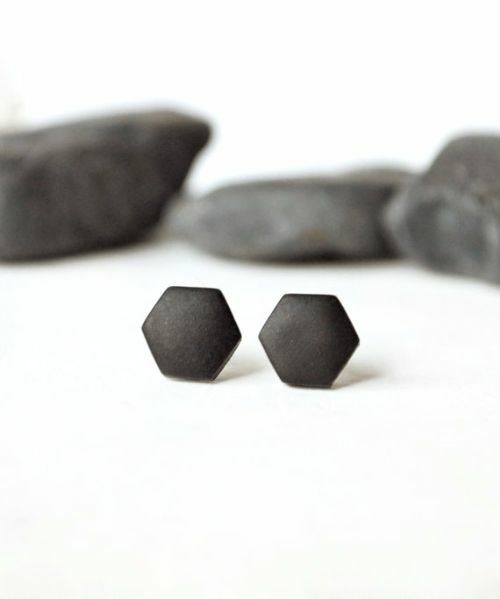 Stud earrings follow a simple and subtle design. 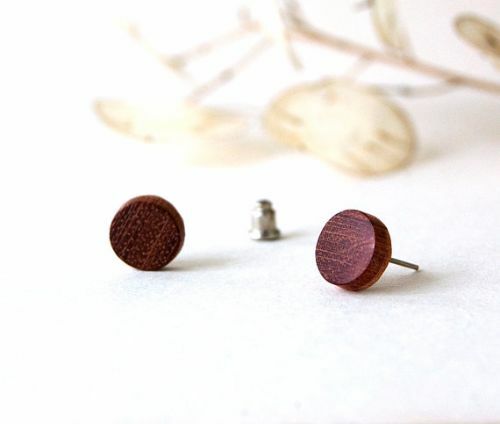 Jewelry makers craft stud earrings by combining a thin rod and an adornment. The thin rod is typically thin enough to fit the earlobe hole or any piercing. On the other hand, the adornment is what you see at the front of the visible part of the ear. The adornment can vary and can be made of different materials. 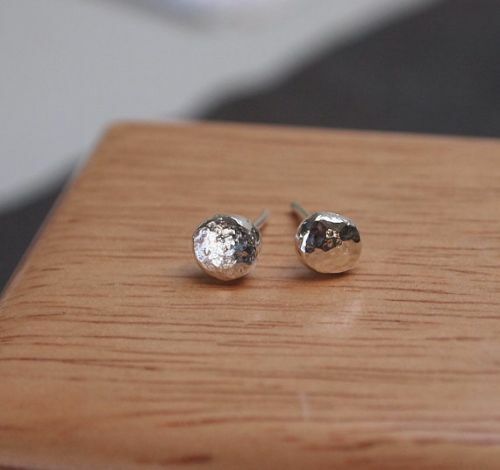 The most usual materials used as adornments on stud earrings are metal, stainless steel, and gemstones. Metals can be a simple round flat shape barbell. It can be spherical. It can also be any other shape. Studs can be locked on the rod with a screw end or a normal earring lock. Hoops are also a popular option for most men. 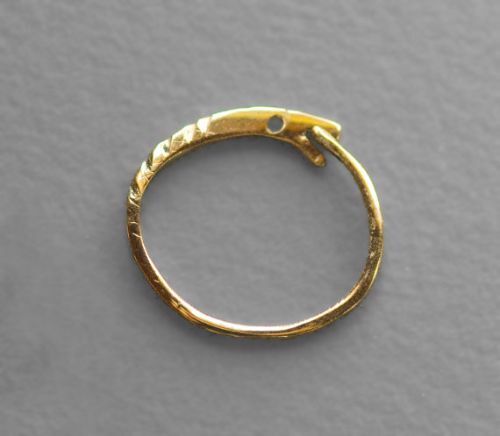 As the name suggests, hoops follow a circular or semi-circular shape. Hoops are typically hollow. It also features a thin wire that serves as a lock on the ear. Some hoops can be locked by a clicker mechanism. Clickers are easy to wear and remove. Other hop earrings would require you to insert the thin wire into the hollow body of the hoop to ensure it will be locked on the ears. It may be harder to wear this variation. You might need assistance from someone to ensure it is perfectly locked and secured to your ear. If you want to use hoop earrings for piercings other than the earlobes, we suggest you use clickers. Barbells, as the name suggests, look exactly like barbells. The only difference is that they are tiny and they can fit your piercing hole. There are three main types of barbell men’s earrings: straight barbell, curved barbell, and horseshoe. Piercing addicts use straight barbells on body piercings and earlobe piercings. They come in different sizes and length. A straight barbell earring with smaller gauge is more advisable to use on cartilage piercings. For tragus piercings, longer straight barbells are used. 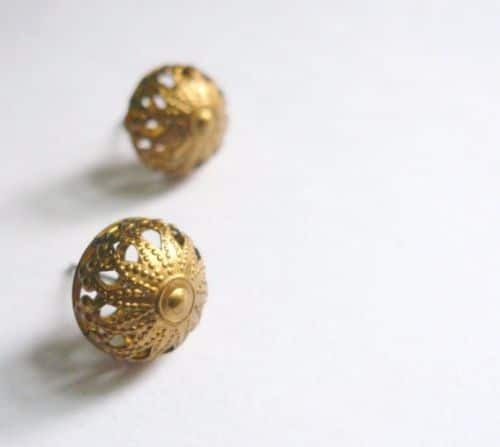 When worn, the earrings are typically locked using a screw end. Curved barbells are also beautiful. They feature a slight curve and two adornments on both ends. Since it imitates a barbell, the adornments are typically round and spherical in shape or round but beveled. 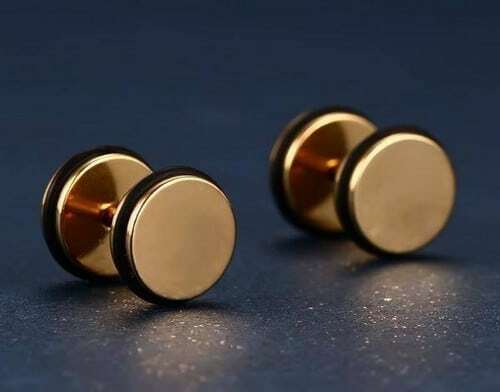 This type of earring can be best for hip piercings and certain types of mouth piercings. 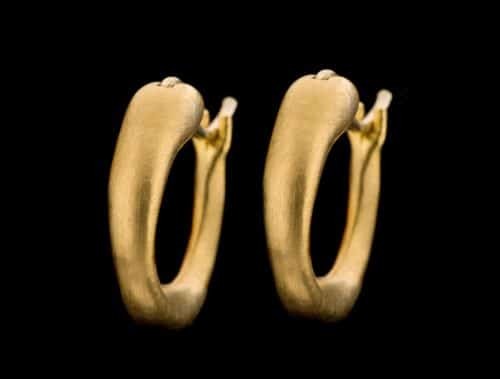 Horseshoe earrings are curved like cuff bracelets. They almost follow a whole circle pattern but they have a small opening. Both ends of the earring feature an adornment. 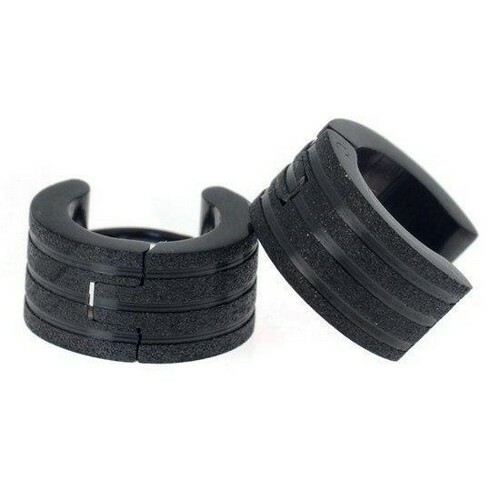 They are perfect for septum piercing and other cartilage piercings. 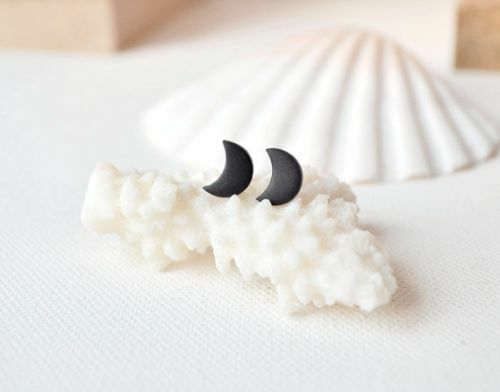 Novelty earrings come in various styles. 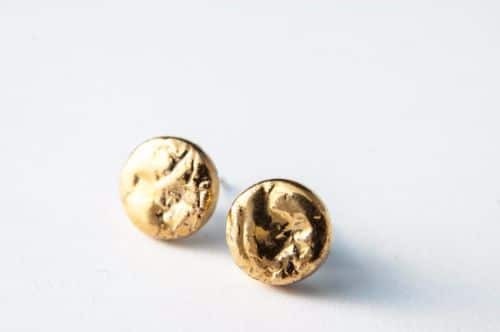 It is actually a broad term for earring designs that allow wearers to remove attachments or skins from the balls or studs to give the earrings a different look. The best attachment designs to get for men are skulls, guns, masculine shapes, and characters. Some even feature animal designs, edgy patterns, and unique handcuffs. 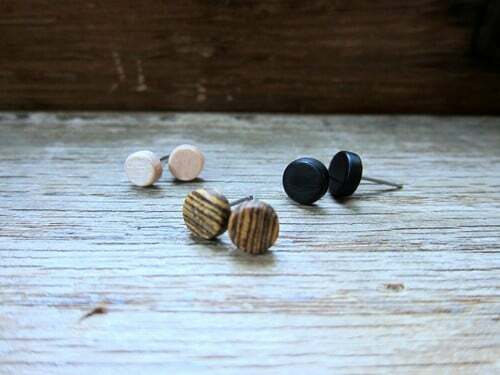 Plugs also make an awesome and bold earring design for men. People also call it spacers. Some people see it gross while others love it. 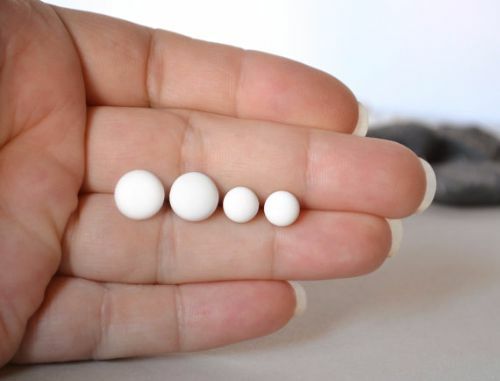 It is used on earlobes. Piercing enthusiasts do a great deal of work in stretching earlobes to be able to use plugs in it. Once plugs are applied, there will be a tunnel-like hole on the earlobe of its wearer. Some see it as a literal flesh tunnel and others call it a bullet hole. The lobes stay in place because plugs feature flares on both sides of its cylinder-like structure. Men who dare to wear plugs increase the gauge from time to time to get the earlobes stretch more until they reach their desired size. Sounds like the answer to some men’s prayers. Not all people accept the fact that men can wear earrings. We also know that not all men are willing to get pierced. Here is the best solution for you. 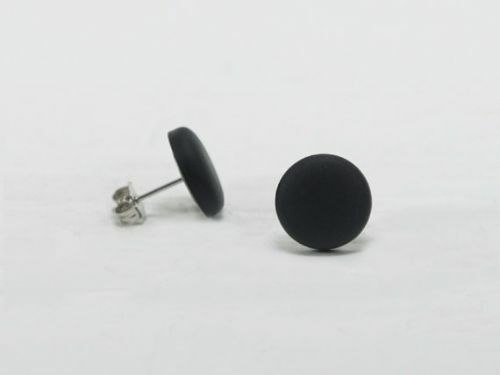 Cool magnetic earrings do not require you to get a hole poked on your body. 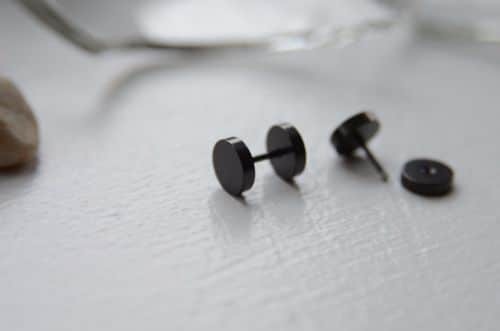 They typically look similar to normal stud earrings but they do not need a piercing hole to actually work; parts of magnets designed to look like earrings will do. The bad side though is that this earring can only be worn on the earlobes. Clip-on earrings are also a good alternative for those who want to rock earrings but are not willing to commit. 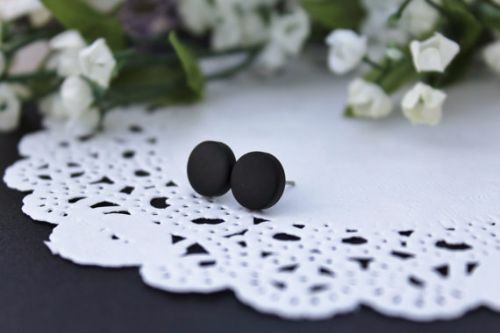 As the name says, they are earrings that feature a clipping mechanism or a hinged clip so it can simply bite onto the earlobe. Voila, you have an instant earring. Clip-on earrings often feature dangling designs. 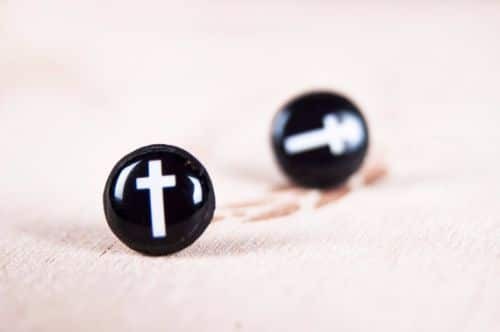 You will notice a lot of men prefer wearing earrings with a cross design. Whether its a hoop earring, long style earrings, earrings on both ears or just one side, you will see it bearing the sign of the cross. Some wearers feel that it will show their devotion to God or the Christian religion. 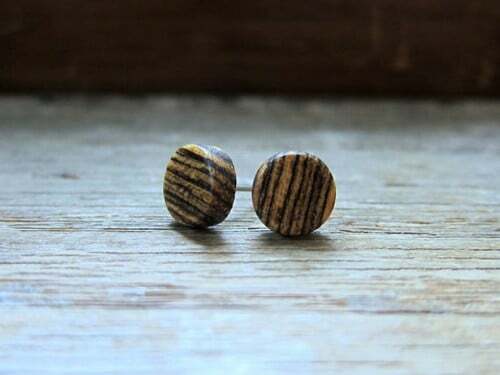 Men’s earrings come in different materials. 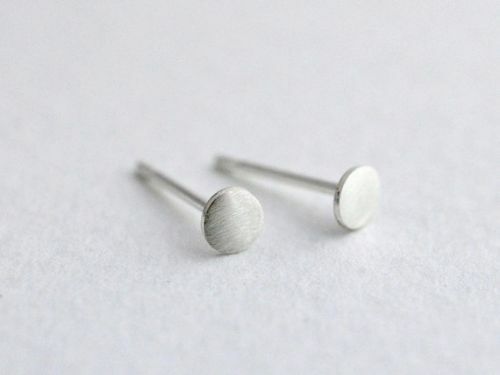 For daily usage, we suggest you get earrings that are hypoallergenic. This will ensure that once you wear the earrings, it will only bring a comfortable feel and not pain and itch. An affordable option you must look into is surgical steel. If you are willing to spend more for a quality earring, you can spend more on platinum and gold earrings. They are more expensive but definitely durable. If you love brilliant looking earrings, you can go for a more affordable metal option, which is silver. Nothing tops the luster that silver shows. Other affordable metals you can try are copper and tin. Once you have decided on the metal to use for your earrings, you can pick on which type of adornment would you like it to feature. You can use gems, plastic, wood, metal, or any other decoration. If you are on a budget but you want elegant looking stones on your earrings, you can opt for earrings that feature rhinestones, cubic zirconia, imitation diamonds, and gemstones. This way, you can get the color of your favorite without paying an arm and leg. 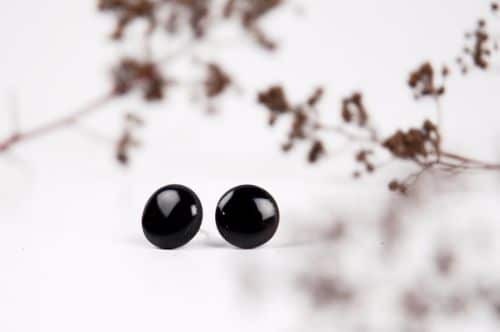 On the other hand, if you are willing to invest in men’s earrings, you can get real stones like diamond, ruby garnet, amethyst, and numerous more. 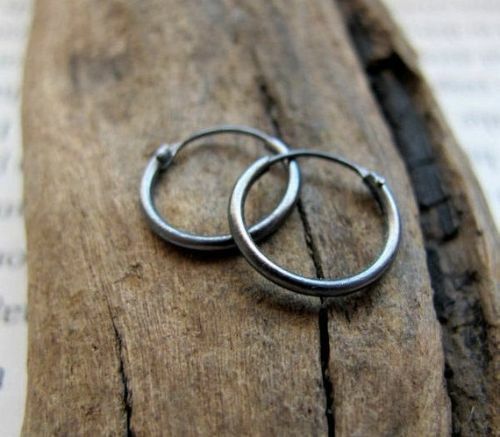 Most men traditionally use hoops and studs. 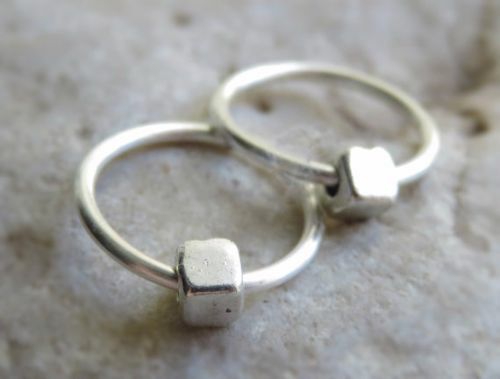 Hoops and studs come in various designs and styles. With the many options available, different looks have been popularized and are continuously being popular through the use of music. Different music genres style differently. For that reason, each genre has a different way or approach in wearing earrings. Below are the different genres you might relate to. Hip-hop singers wear stud earrings that feature diamonds, cubic zirconia, crystals, and gold. If you love hip-hop, you should definitely look for earrings that feature these materials. They look cool and can definitely give an instant hype to any look. Wearing these types of earrings can instantly bring a good status symbol for people who also love hip-hop. If you want to get the same look of the person you idolize, you must try getting earrings with this style! Metal is another music genre. Singers from this genre also have different approaches and styles for wearing earrings. 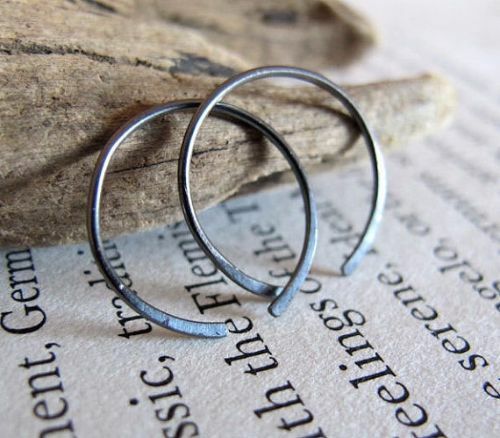 Most metal artists and fanatics love to wear earrings featuring stainless steel, titanium, and silver. Metal fans also wear barbells to style. A metal-inspired accessory is a unique style but if you love rocking and rolling, you definitely should try this style out! Country music is another lovely music genre. 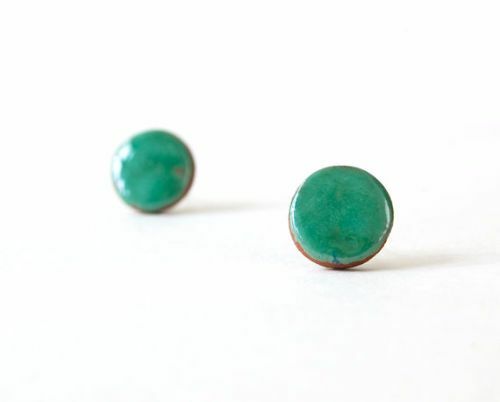 For country music singers and fans, single metal studs that feature gems are popular. It also follows a traditional simple design. 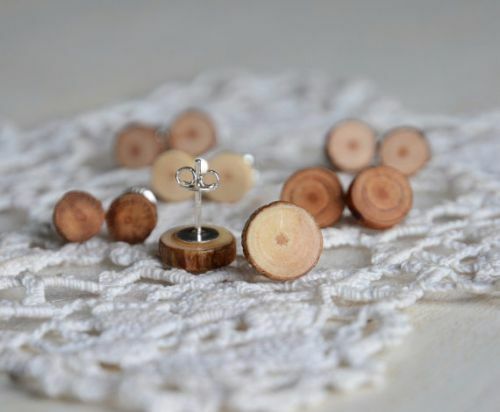 Tone down with your style now and appreciate country music by wearing simple, subtle, but elegant earrings. You will not go wrong! You can wear earrings anytime you like. However, there are certain instances that you must omit them from your attire. Even if your earnings are rocking awesome, you must be responsible in the times you wear it. There are situations and events that do not require the need to wear them so don’t. A good example of this is when you are going to play sports or going to go to exercise. Yeah, you might look hot for the girls who will cheer for you but earrings can cause injury. Your earrings can be caught on something. If you accidentally slip or fall, we simply do not know what may happen so it is better to be safe than sorry. Additionally, you wouldn’t want to get dirt all over your jewelry. Plus, your sweat can cause tarnish, especially if your earrings are made of metal. 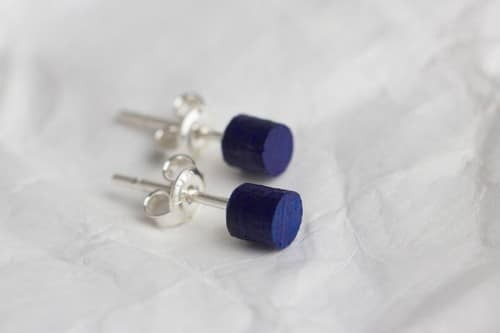 Wearing men’s earrings is a good way to express personality, preferences, and style. If you are afraid to try it, remember that life is short to be afraid of doing something now. Getting a pair of studs is a good way to start. It is an amazing earring that can instantly help you express your views without being too bold about it. For some, a small men’s fashion jewelry item can already be a big and bold move. 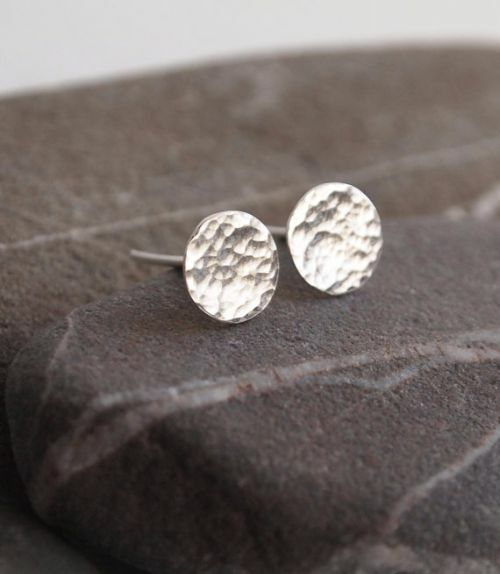 Rest assured that once you get to try, wearing an earring it will start to gradually be more comfortable. Don’t be afraid to show your love to certain music genres. Be proud and rock the style you love! 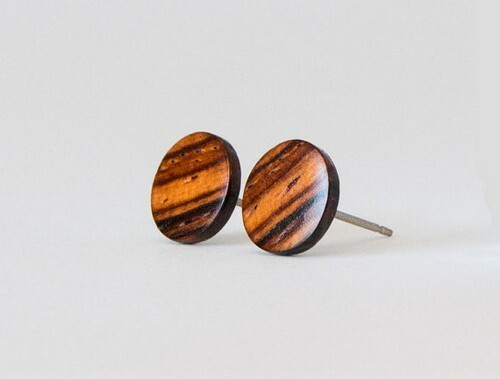 Go ahead get one of these pairs of these cool men’s earrings. Just make sure that when you get one, take your style, employment, and level of comfort into consideration too!